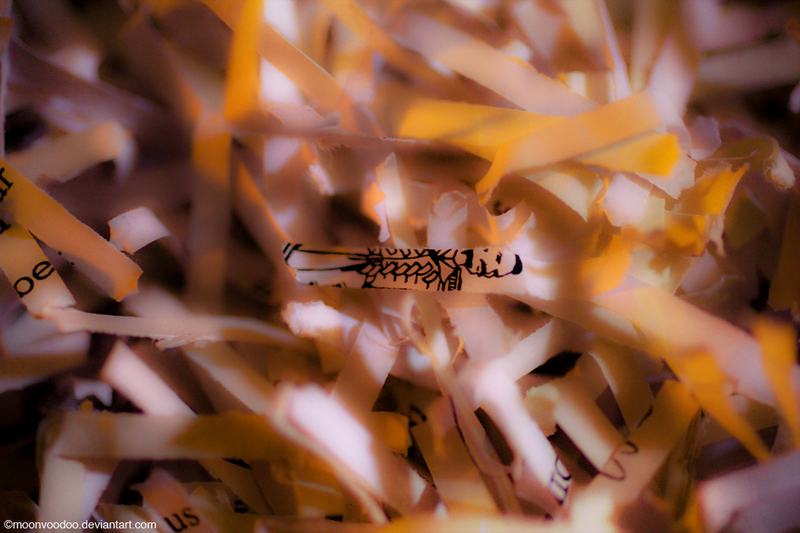 I called this photograph which I chose for the DP photo challenge: Blur – The Shredded Man. This photo came about because I was feeding a fire with loose packaging material and noticed that there was a drawing on one of the pieces of shredded paper. My camera was close at hand and I snapped a shot. This man in the drawing reminded me of the toy soldier in that tragic tale by Hans Christian Andersen – The Steadfast Tin Soldier. He also reminded me of Freddie Mercury. I don’t know how old you are (you who may be reading these words), so I don’t know if you were alive when Freddie Mercury died or if you even know who he is. I’m going to guess that you do know who he is, or at least know of his legacy, but maybe you don’t know about the stories which preceded his death, and the stories going on at the time about something known as AIDS. Many terrible things were said about AIDS in those days, and about those who contracted the disease. The terrible things which were said… are the sort of things which humans say when they’re afraid. Nothing scares us more than that which is unknown and which seems to threaten us is some way, especially when it challenges what we think is known, by us, personally. NPD (Narcissistic Personality Disorder) is getting a similar treatment from humans these days. The past is a blur, but the present is in focus (yet it always has blurred edges). Others are a blur, but we are in focus (yet we have blurred edges). We are not as clear as we see ourselves as being, and how we see others isn’t as black and white as we need them to be for us to think we know who they are. We don’t like it when others think they know who we are, when they paint us black and white, when they label us… so why do we think it’s okay to label others? 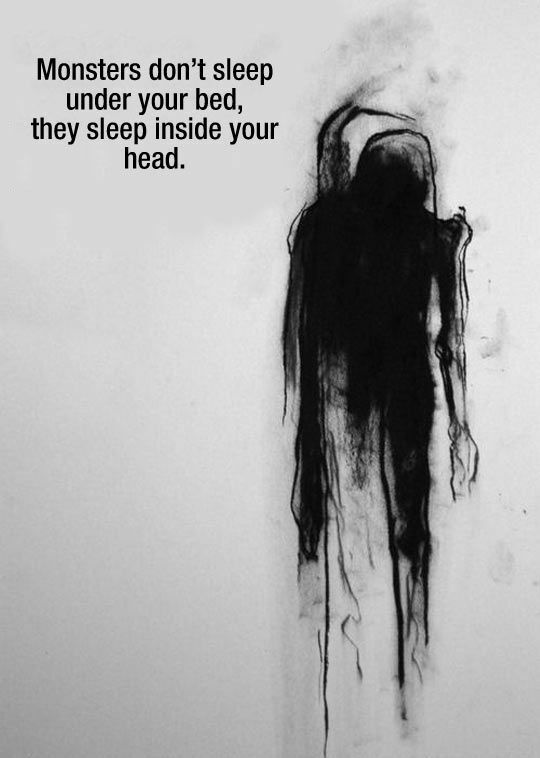 We know why we do it to others. We’re trying to make sense of what confuses us about them, and what confuses us about them may confuse us about us… that’s partly why we do it. Others are doing that too. Sometimes the labels we apply are correct, sometimes they are not, often they are both right and wrong… which is something we don’t like them to be, blurred lines, as it creates what is now labeled as – cognitive dissonance. Also known as a blur in a picture we want to be in perfect focus. Can you do that about yourself? Can you do it about others? 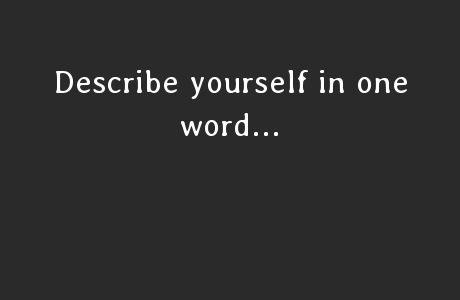 Would you like it if someone did it about you… and the word they used wasn’t one you liked? I’m one of those people… who regularly feel that everything I voice out loud within earshot of others, but especially when I say it to someone else, has the potential to be terrible… definitely not ‘liked’. I know that I’m worrying too much (to put it mildly)… that worry was caused by early training and experiences of communication with others which left me permanently anxious. Whether I would have been that way anyway… I can never be sure about that. A simple ‘No’ could have terrible repercussions… therefore the word ‘No’ became something terrible to say. ‘Yes’ wasn’t much better… as if you say ‘Yes’ to one person, another person may interpret it as a ‘No’ to them. And the repercussions can be terrible… for you. So, you conclude that anything you say has the potential to be terrible… for others, for you. ps. Since the packaging was part of a delivery… I have no idea what the original story of that image in the shredded paper was about. Such is life! This is really timely for me, because I lost a blogging friend this week who gave me a barrage of verbal abuse on the way ‘out the door’. Talk about causing anxiety! Why can’t we all be good to ourselves and one another, even if we disagree. Love thy neighbour as thyself… is usually what people are doing, which is why relationships are so complicated because a person’s relationship with themselves is an on again off again love/hate one, and trying to maintain a consistent love for ourselves is nigh on impossible and we may beat ourselves up for not being able to love ourselves as we feel we should (and as others keep telling us we should), and we may then blame others and beat them up for it. We’re passing on to others what we’re doing to ourselves (which was probably passed onto us by someone else). Blogging and online relationships are in some ways more volatile than offline ones because of the nature of blogging and the online whirled. There is more idealism involved, and it is sometimes far more sensitive, therefore more easily bruised, disillusioned. There’s a child-like naivety about the online social world, people get massive crushes on others, place them on pedestals, bestest friends forever… then something happens, usually something quite small, and the crush gets crushed, the pedestal topples, and bestest friends become worstest friends forever. It’s harder to repair online relationships than it is offline ones. We’re all a bit more narcissistic online than we are offline. It’s easy to forget the human being human factor online, perhaps because we may be using the online world to escape the offline one. When someone resorts to verbal abuse online, it’s a good idea to remember that they may be experiencing something offline from which they are trying to escape. People’s online behaviour can be diametrically opposed to their offline behaviour. They get to be their fantasy self online. And it’s best to not take what they say too personally – it’s personal to them, it doesn’t have to be for you. That doesn’t make it any less painful, but it can put it into a context which allows you to step away from it. Working for Freddie must have been an intriguing experience. Being behind the scenes, especially of someone as famous and fascinating as him, is an incredibly eye-opening insight into the world created by humans. I’m not a fan of labels, but they are sometimes necessary to make sense of the world we live in. They’re okay as long as we’re aware that labels are just a guideline not the be all and end all. 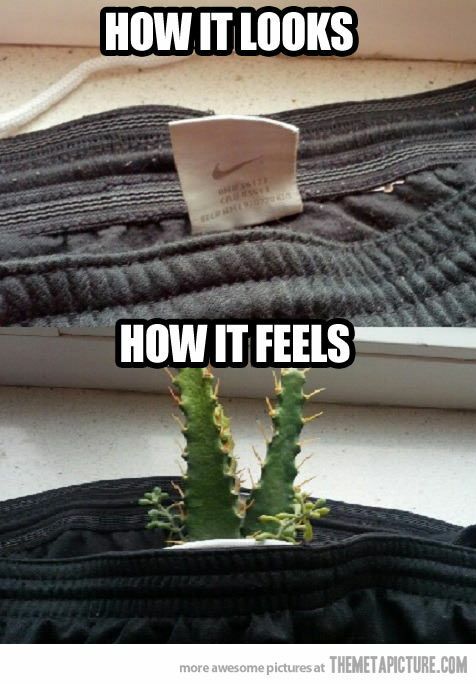 Just not saying anything – yup. I understand that, and also that that could get you into trouble, too. And when you say that your experiences of communications with others has left you permanently anxious – well, that resonated very strongly with me. I’ve gotten better about it (which is also interesting because I don’t want to forget about it, either), but sometimes, when someone uses a certain tone or even certain words (and usually it’s completely inadvertent), I can go right back there. I have to take a moment and shake myself and leave the past. That’s a very insightful observation about finding yourself back in a past scenario triggered by a tone or word. I think that’s what can happen to all of us which is why communication can be so complex. In an interaction what is going on with us is often going on with the other person too. A word or tone or look from us triggers something in them and they react to that which then triggers something in us and we react to that which triggers more in them, which triggers more in us, and both sides are back somewhere else with someone else. The ghosts of communications past tend to haunt communications in the present whether we want them to or not. In some ways when we talk to a person, we’re talking to or as everyone they have ever spoken to who impacted them. And that can apply vice versa. An intimate tete a tete may have many invisible talking heads for both of those involved in it. You can sometimes see it happen, that moment when your face gets replaced by someone else’s, when your voice becomes someone else’s. for the other person, and then you’re no longer with them, they’re with this other person and can’t see or hear you anymore. You can also see yourself doing that with someone else.